Author’s Note: Tweepi has changed their application to comply with Twitter’s guidelines and as a result the procedure below no longer functions the same. Tweepi still is a wonderful application for removing those you are following who do not follow you back, but the amount of followers you are able to remove has been dramatically reduced. This is to avoid users churning those they follow. 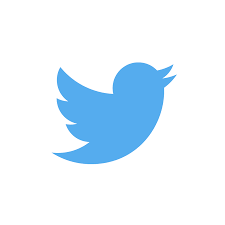 Twitter is an amazing tool to find out what people are saying and interact with them in social media. Also for small business being a part of the conversation is critical to stay on top of the market you are in. But if you have under 300 followers how do you get your message out as part of that conversation? Would you like a free demonstration of how Local View can efficiently manage your Twitter account as well as your online reputation and social media presence at an affordable price? Twitter contacted us May 2015 about adding protective measures to help our clients avoid indefinite Twitter account suspensions. Aggressive follow and churn is one of the biggest reasons Twitter suspends accounts. This article discusses this new feature. Users unfollowed cannot be refollowed. That is not too strict in case of accidental unfollowing. The “force to unfollow me” feature is now limited to 500 requests per day. † Lower limits may apply to FREE accounts.